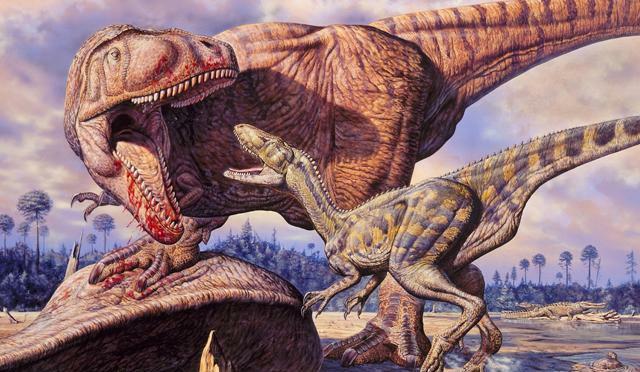 Tyrannosaurus rex’s name means “tyrant lizard”: its moniker reflecting the carnage supposedly wrecked by this famous ancient reptile’s huge jaws and rows of impressive teeth. In the now classic film Jurassic Park, another big-jawed, two-legged theropod dinosaur, Velociraptor, was depicted as a salivating, fleet-of-foot hunter of more sluggish species. 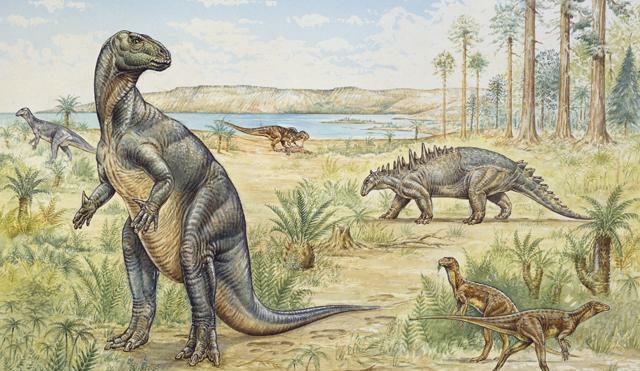 But the truth is that we still know little about the meat eating habits of dinosaurs. Now some of that may change with the discovery of a fossilised sauropod bone. Because on this bone are scoured a series of bite marks made by carnivorous dinosaurs, including the longest and deepest bite marks made by a dinosaur yet documented. Even more intriguingly perhaps, the bone appears to have been bitten or chewed on by a series of different carnivores, revealing something about how groups of dinosaur scavenged carcasses just as big cats, hyenas and vultures might scavenge a kill in modern Africa. Penguins can’t fly. But they can get airborne. In fact, taking to the air, for even a brief instant, is actually a vital strategy penguins employ to avoid being eating by predators such as leopard seals or orcas. 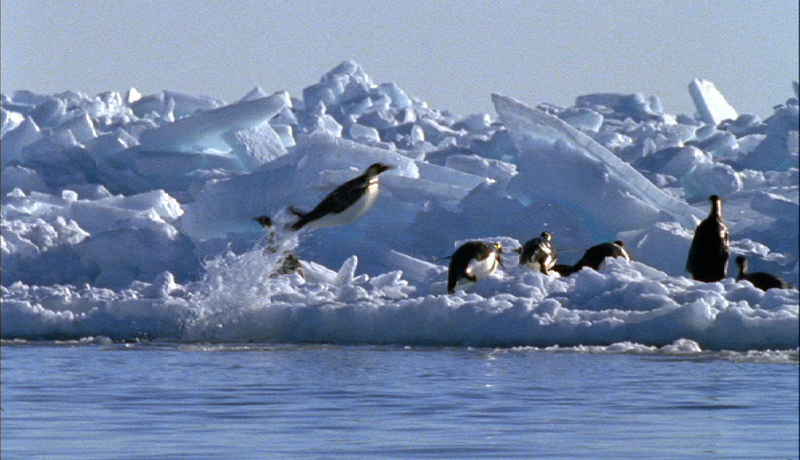 Now scientists have worked out the secret technique that penguins use to get airborne. It involves wrapping their bodies in a cloak of air bubbles – and it turns out to be the same technique that engineers use to speed the movement of ships and torpedoes through water. Another interesting aspect of the discovery is that it was made by scientists examining in minute detail footage shot for the programme Blue Planet, a landmark natural history series filmed by the BBC’s own Natural History Unit. Why do people and other primates share food? We like to sit down and break bread with one another, share a platter and join around a table to tuck into a hearty meal. Consider ourselves human, and the idea of sharing food this way seems utterly reasonable. Remember that we are primates, however, and it becomes a little harder to explain. The reason is that, in evolutionary terms, it doesn’t make a huge amount of sense for primates to voluntarily give up food and have another benefit from it. But two new pieces of research are helping to finally explain why some apes and monkeys willingly share food, and others don’t. Questioning what motivates other primates to split a meal in this way can help inform what spurred our distant ancestors to similarly share meals, as well as revealing something about primate behaviour in general. Wonder Monkey likes to celebrate all things nature, and that includes celebrating some ground-breaking natural history film making. Last month I passed on news of a novel short film called Loom, which used computer generated graphics to depict a spider catching and eating a moth, offering a new perspective on the hunt in the process. The makers of Loom based their depiction in part on real natural history films shot by the BBC’s own Natural History Unit in Bristol, to which BBC Nature online and Wonder Monkey is affiliated. Now the NHU is showing what it too is capable of producing. Please sit back and enjoy a taster of the upcoming season of natural programmes that will be shown by the BBC. It includes a first look at Frozen Planet, an epic landmark series that portrays the coldest reaches on Earth, recording a snapshot of the polar regions that may end up being lost forever. 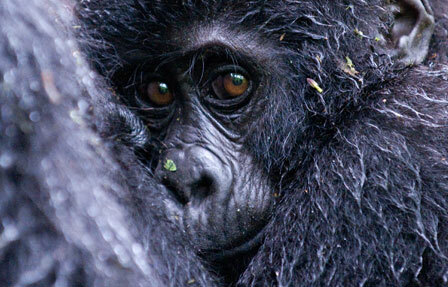 And Africa, which will tell the story of the continent’s wildlife like never before. Other programmes are more intimate shows that will dive deeper into the natural world. These programmes are entertaining, inspiring and uplifting. They will show you aspects of the natural world you will have never seen before, and may never forget. Can religious teachings prove evolution to be true? It is one of the great questions of the past 150 years. This blog, the US education system, and even American politics have to a degree all become dominated by the debate at various times, which goes to the heart of our world view and our ideas of where we, and all other forms of life, came from. But I’ve just come across an intriguing piece of research that may, to coin a phrase, put an evolutionary cat among the believing flock of creation scientists, many of whom believe in the literal account of Genesis. One scientist has decided to use creation science to test the validity of evolution. Because, he says, if it turns out that creation science proves evolution, then by its own logic, it will have to reject its own canon of research that previously denied it.